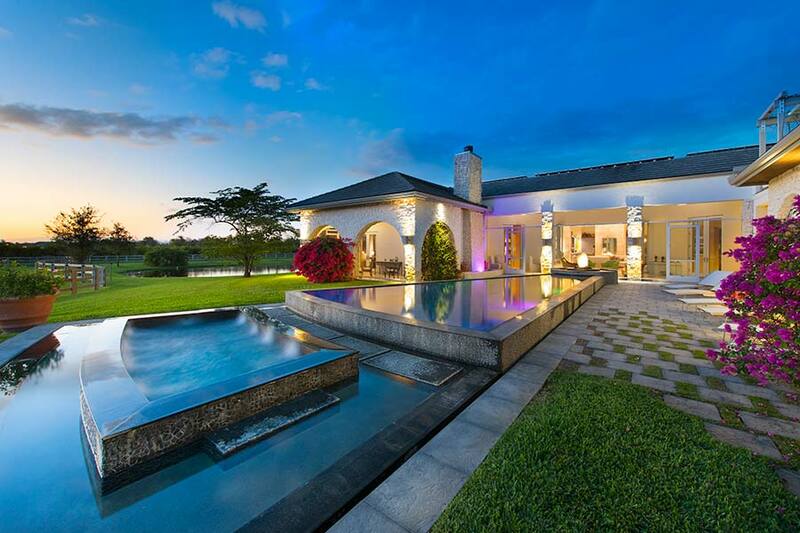 Miami-based luxury real estate auction firm Platinum Luxury Auctions has announced the pending sale of an equestrian estate in Wellington, Florida. On February 25th, a live audience of buyers gathered to place their bids for a luxurious horse farm located in the city’s Las Palmas subdivision. While the final sales price will be released upon closing, Platinum reported that the bidding handily exceeded the auction’s $4 million reserve price. Listing brokerage Engel & Völkers of Wellington, represented by agents Carol Sollak and Matt Johnson, worked in tandem with Platinum for the sale. The transaction marks Platinum’s fourth consecutive auction sale in the world famous horse community, thus extending its flawless performance record there. To date, Platinum has sold and closed three other Wellington properties, including Two Swans Farm ($6.9 million), Wild Orchid Stables ($4.325 million), and a residential home in the area’s Polo Club enclave ($2.365 million). Enriquez added that there are currently 77 listings in Wellington priced at $4 million or more, with approximately 66 of these listings being horse properties or farms. Within the past six months, only five properties have sold in Wellington at more than $4 million, all of which went under contract in 2016. This creates more than 7.5 years of high-priced inventory at the current sales pace. Lesnock added that the property’s seller is, “an incredibly sharp businesswoman” who is selling the custom-built estate in order to spend more time in the northeastern U.S., where much of her business interests are centered. He noted that she was very complimentary of the auction process, in spite of the soft market. The property’s main residence offers nearly 6,400 sf of living space, with features that include an infinity-edge pool and spa, 1,400-bottle wine cellar, library, media room, office, fitness center, and a yoga studio. Additional amenities include a 3-vehicle garage, guest cottage, 12-stall barn with enclosed lounge and attached loggia, a 215-ft-by-125-ft riding arena, six paddocks, and a dedicated set of grooms’ apartments. Wellington, Florida has a well-established reputation as one of the world’s most prominent equestrian marketplaces. The area is home to the world’s longest-running horse show and competition – the Winter Equestrian Festival – which draws the Who’s Who of the equestrian world to South Florida each year. The community boasts residents such as Bill Gates, the Jobs family, Tommy Lee Jones, Bruce Springsteen, and billionaire media mogul John Malone. Additional information on the sale is available at WellingtonLuxuryAuction.com, or by calling Platinum’s offices at 800.262.5132. 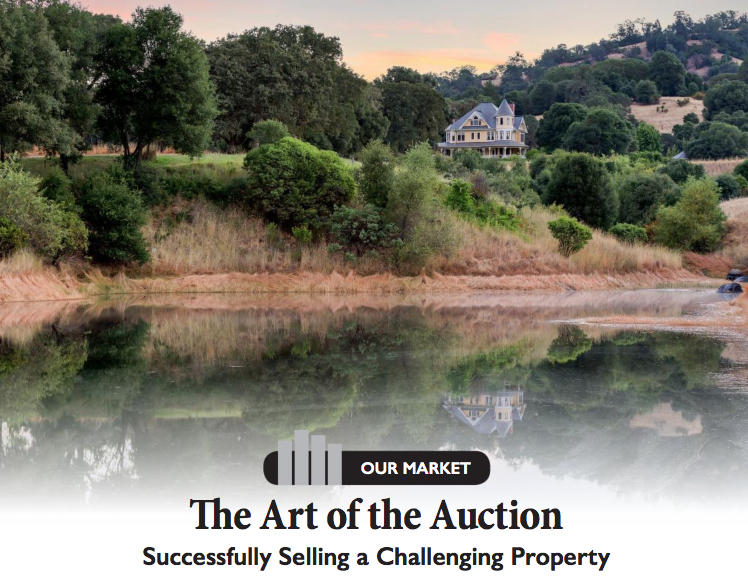 When Rudy and Linda Light decided to sell the dream home they’d spent 20 years perfecting, they called Chris Iverson, a top producing agent with Dreyfus Sotheby’s International Realty in Menlo Park, California. But the ranch–a complicated real estate asset with many of its 1,745 acres preserved for conservation under California’s Williamson Act–didn’t attract the attention of the right buyer, despite Iverson’s robust marketing program. The lovingly built and maintained Queen Anne Victorian main residence had fewer showings than the owners or Iverson anticipated, and no viable purchase offers were received. Realizing the Property’s unique situation, the listing agent began researching auction firms and presented several companies to the sellers, who ultimately selected Platinum. Subtitled “Successfully Selling a Challenging Property,” the article details the “full court press on marketing” Platinum conducted over the 6-week international auction-marketing campaign. Featuring nearly 40,000 website visits, 74 bona fide inquiries, and 2 written offers prior to auction, the campaign concluded with five registered bidders competing in real-time to produce a sale price of $6.215 Million, shattering the $3 Million reserve. The sale price equated to 114% of the Property’s most recently appraised value.